Professional, Interactive & Easy to Read Reports. 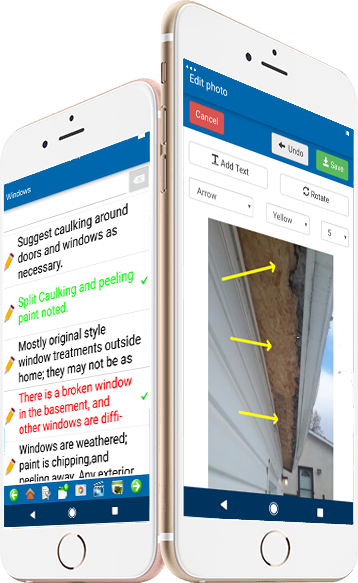 Home Inspector Pro runs on Windows & Mac and Home Inspector Pro Mobile runs on iPhone, iPad & Android devices. 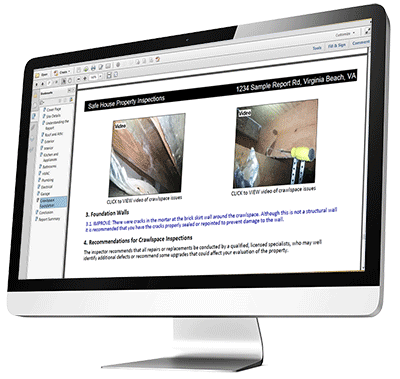 Home Inspector Pro was designed from day 1, over 14 years ago, to be used on site. Whether on a desktop, laptop or mobile device the interface is laid out to be easy to use and help you finish on site. Only Home Inspector Pro has tech support on both coasts. This allows us to have double the tech support hours of our competition via phone, email, help desk and live chat. Our template editor has allowed inspectors in over 20 countries and 9 different languages to use our home inspection software on residential, commercial, mold, radon, pools, and other jobs. 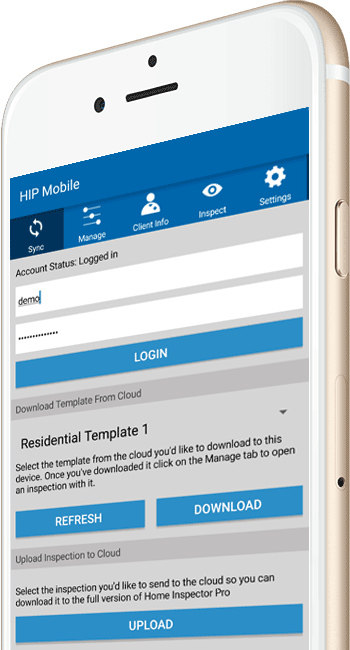 Home Inspector Pro Mobile is designed to make reporting seamless so you can finish your report on-site. Design your own template or use one of the dozens already available. Record video directly or insert it from your camera to the desktop app. Photos are automatically slotted as you go, or batch add them all at once. Search as you type on mobile helps you find narratives instantly! Draw circles, arrows, lines, etc and do text overlays directly on mobile. Review with clients on site with a photo/video slideshow and list of all summary comments. Quick overview of the advantages to desktop and mobile along with a look of the inspection report. Find more details under the Features menu. The full version of Home Inspector Pro runs on any full Mac or Windows desktop, laptop or tablet. Working in tandem with the companion app has huge advantages. Review your work from they day on a large screen before sending the report out. Create Department of Energy, Home Energy Scores. Large template changes are easier to work on. Modify your digital stationery & cover page designer. Create and modify your pop-up glossary. Sync all data to and from the Home Insector Pro (HIP) Cloud. Home Inspector Pro Mobile is a companion app to the main desktop. It allows you to efficiently collect data on site and then transfer through the cloud to your desktop/laptop. Use voice recognition to quickly enter new narratives. Take photos and video directly on the device. Annotate all your photos will on the job. Choose from a large variety of sized devices to fit you. Automatically saves all work as you go. Optimized for both Android and iPhone/iPad. Home Inspector Pro's inspection reports help keep you ahead of the market. We're constantly working on new features that separate you from the crowd whether you're doing a home, commercial or other inspection. Generates an identical PDF and HTML report. Digital stationery allows you to brand your report to match your business. Videos are stored and played directly in the report. Pop-up glossary allows clients to get definitions of terms. Summary includes page number and item number of each issue. Create a separate Home Energy Score report. Create a real estate reference addendum. Whether you want to use the software on a Windows or Mac, iPhone, iPad or Android device you can download the trial now and take it for a spin. No strings attached!